Not surprisingly, one of the very best ways to prepare for GMAT Reading Comprehension is simply to read, preferably from a high-quality reading list of GMAT-style material. If you have only a few weeks between now and the GMAT, you probably should stick to GMAT RC passages for practice. 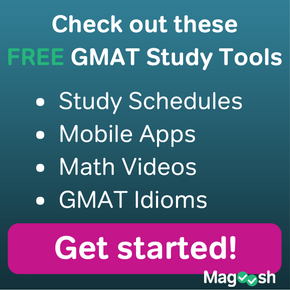 If, though, you have several months between now and your GMAT, you can afford to invest time in reading for the GMAT. If you don’t like to read, that is all the more reason to do so — to get your mind in shape for the reading you will have to do on the GMAT. A good reading plan for the GMAT should cover all four of these areas, and should all be material written at a high level of English usage. While reading a Wikipedia article about a science topic you don’t understand might stretch your mind, there’s no guarantee that the grammar or the choice of vocabulary will be of the highest quality. The easiest area for which to make a recommendation is business, and there are more Reading Comprehension passages on this in the Official Guide than on any of the other three categories. If you are planning to go to Business school, get an MBA, and pursue a corporate career, you already should be reading the Financial Times newspaper every day and the Economist magazine every week. I also recommend Bloomberg Businessweek. If you have never taken economics, it would be worthwhile to get either an Economics text book or some other introductory books, such as Yoram Bauman‘s Cartoon Introductions to Micro and Macroeconomics. Those latter two books may not be at the highest level of English usage, but if you are lacking a strong background in economics, those books would be an excellent way to catch up. For both the physical and biological sciences, Scientific American is an excellent source. If you have a relatively weak background in the natural sciences in general, pushing yourself through Scientific American articles could be excellent training for wrestling with similar passage on the GMAT. If you are more ambitious, get your hands on a textbook (borrow from a friend or from the library) and force yourself to read a couple chapters. For the social sciences, unfortunately, most popularly available publications (e.g. Psychology Today) are not nearly academic enough. Occasionally, the New York Times will cover an academic social science issue; in particular, if the Sunday NYT Book Review reviews a book about a social science, that can be good material to read. Here, unfortunately, there is no analog to the Economist magazine or Scientific American. If you really want social science reading practice, I have to banish you to the academic journals. Go to a good academic library and peruse the highly respected social science journals. Yes, this will be very dry and cerebral, but if you can stomach these, then anything the GMAT throws at you will seem easy. You may also try this open access listing of online academic journals. The New Yorker and the Atlantic Monthly are exceptionally well-written journals. The focus of each is a little more literary, so the topics are somewhat less likely to appear on the GMAT, but because the writing is of exceptionally high quality, these still provide excellent practice for sophisticated reading. You know a question the GMAT Reading Comprehension almost invariably asks is the “main idea” question, so whatever you read, you should constantly be in the habit of summarizing the main idea(s) and the roles of each paragraph. That’s a bare minimum. I have problems with the questions related to nature and life sciences in general. What can you advice me, please ? I have been reading the economist cover to cover for months and I must say its an excellent no-nonsense publication. Ideally, I want to read the WSJ daily, economist and scientific American weekly and take the occasional trip to a the library to get down to those academic journals for the social sciences. I also had my eye on the bimonthly technology review by MIT. Wonder if you would recommend this publication. Also, this would mean that I would have to skip Bloomberg businessweek, ny times, Atlantic monthly etc. Please let me know if my strategy is right. Would love to hear your advice on the same. I think that this is a good source to read from, but I wouldn’t only read articles from HBR — you’ll want to supplement this with other sources, such as the New Yorker or the New York Times, to broaden the range of topics you’re reading about, as well as the styles. 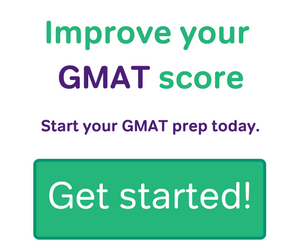 A simple question: How to start preparing for Gmat..??? I read all the reviews above…. But couldn’t link myself to what exactly people are asking..!! Intrigued though..!! Talking about myself… I’m a working professional in a MNC company in Mumbai. I’ve a work exp of almost 2 yrs now & i want pursue MBA in IB. Happy to help! The best way to start preparing for any large task like the GMAT is to become familiar with its content, structure, and purpose. 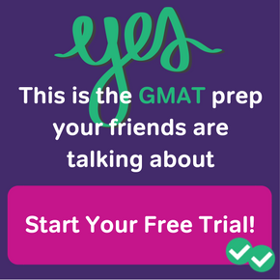 The GMAT is an exam to find candidates for business school, so everything you’re asked to do is designed to find people who are able to think in a logical, business-like way. You should explore a GMAT official guide’s explanation of the GMAT, read this blog post on the GMAT, and start exploring some of the GMAT resources to get a feel for it. Do you think reading NTY opinion does improve efficacy to tackle RC. Is Nature Magazine a good source for reading articles on biology, geology, physics, etc? I’m happy to respond. 🙂 If we are talking about the prestigious academic journal Nature, then yes, that’s extremely high level scientific reading, considerably more sophisticated than anything the GMAT will give you. If you can understand articles in Nature, then you definitely will have no problem understanding the science on the GMAT. If you can understand those articles, then you are more than ready for the science passages. At that point, I would urge you to read more about politics, economics, and social science, so you understood the dynamics of those disciplines better. I want to improve RC part. I need to answer questions on some 50 passages. It seems I fail because of lack of experience on answering RC questions. Could you help with materials or send a link where I can find more RC passages to practice. 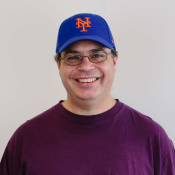 This is a great article here. Could you please provide sources to read about Humanities, I face problem in such passages. I believe in GMAT, one gets 4 passages covering Science, Business, Humanities , etc. I’m happy to respond. 🙂 Technically, the GMAT RC passage that are not about business or the natural science tend to be about the social science more than the humanities. Social sciences = human things about which one can gather data and test theories (psychology, sociology, anthropology, etc.). Humanities = things of beauty, things that are said to enhance our human nature by their ennobling character (poetry, art, music, etc.) Strictly speaking, I don’t think I have ever seen an official GMAT RC passage about the Humanities, but of course, many are about the Social Sciences. As I indicated above, there’s not a single go-to source for the Social Sciences. I would recommend Harper’s weekly, the Atlantic Monthly, and even National Geographic (covers both natural sciences & social sciences). Even better, if through a library, you can get access to academic textbooks and journals on social science topics — that dense academic writing would be ideal for GMAT RC practice. Mike, all these make sense ! I have 2 months for GMAT, I want to improve RC .. the accuracy level is yet not developed. Would you like to give suggest some ways on how to get grip in RC and within these 2 months, how much reading is required. I would suggest reading at least a hour a day every day — that’s the time for outside reading, over and above any GMAT preparations you are doing. Furthermore, it would help to diagram everything you read — what’s the main idea? what’s the role of each paragraph? whey did the author mention individual details? The more you read, the easier all of this will become. 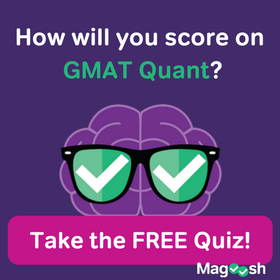 Also, if you are not already a member of Magoosh, the Magoosh lessons on GMAT RC could really help you. Mike .. Thanks a lot for the information. I am starting my journey towards an hour reading daily !! About the Magoosh lessons on GMAT RC- are these paid lessons? You are quite welcome, my friend. 🙂 Yes, to see the Magoosh RC lessons, you would have to purchase the Magoosh product, at least the Verbal product. For this, you would pay about the price of a high quality book. I am very glad you found my advice helpful. I’m deciding between the economist and bloomberg businessweek. I’m happy to respond. 🙂 Bloomberg Businessweek is a fine publication. I would say, a habit of reading either Bloomberg or the Economist regularly will help you immensely. Best of luck to you! Thanks for this guide. I followed a link to this page from The GMATClub. As I am an engineering graduate, I generally have trouble with economics and business related RC passages. I have followed your suggestion to read the Economist and it has helped me a lot. I’m very glad you found this helpful! Thanks for letting us know! Best of luck to you, my friend! Definitely read anything about business, politics, world events, science & technology, and trends in human behavior. At that is vital. If an opinion piece talks about any of those topics, read it. I would say any sports and any coverage of media celebrities would be the sections you could skip, although if you need practice with English, even those would be worth reading. The WSJ will have a little of that fluff, but the Economist will really have none: you can read that from cover-to-cover. Thanks for the precious reply. You are quite welcome. Best of luck to you.